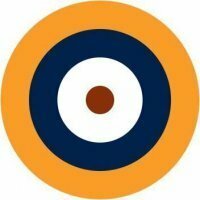 Seeing as Airfix have already announced their Spitfire XIV, on the IPMS UK site https://ipmsuk.org/wp-content/uploads/2018/09/Scale-ModelWorld-2018-Timetable-V1.pdf the timetable of events includes an announcement by Airfix at 11 o'clock on the Saturday. I was wondering if there would be another announcement as usual at Telford. An Airfix tradition for a few years now. So we've had a 48th scale fighter, I'll guess it'll be a 72nd scale bomber, something along the lines of a Mosquito or Stirling, or Halifax. Or perhaps a Ju.88. Or maybe a Vulcan! Does Airfix have a release pattern? If there's one. Personally, I think a BoB Ju 88A-1/A-5 in 1:72 would be good, and perfect for an Airfix gift set alongside other BoB aircraft. I was told at a show recently by some one who has close connections with Airfix that it will be a "big one". Would that be a 1/48 scale Number "1" or a 1/24? Do you think they'll follow up with numbers 2-0? It's five years since the big Typhoon, if it's rumoured profitability is correct, then even with tightened purse strings it wouldn't surprise me to see something equally ambitious. The current big Spitfire tooling is well past it's best, what chance it gets replaced? As I said before there was something big that’s been held back due to the money woes, guessing its that, what that is whether a it’s a 1/48 medium like a phantom, a 1/72 heavy like a new Vulcan or an new 1/24 perhaps a defiant or gladiator I don’t know. Personally I am more than happy to see the increasing numbers of great models being made available regardless if they are my thing or not. Long may the golden age of modelling continue. And no doubt somebody will be straight along with, "Is it just me or is the nose not quite right?". 1/48th Handley Page Jetstream T. Mk. 1 please! That's just silly Jerry - we all know that Airfix don't do 1/32, so please correct your post to 1/24!! 1/72 Vulcan would be my bet. Airfix plays strongly to the UK market, and a new-tool Vulcan fits in with the Valiant and Victor. No Jerry - your initial subject was correct, just wrong scale - so its a 1/24 Lanc! 1/24th Gloster Sea Gladiator with markings for Faith, Hope, and Charity!